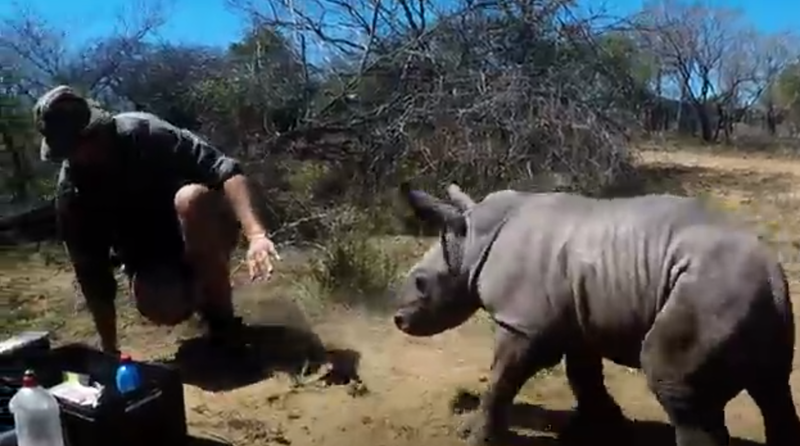 Adorable Baby Rhino Fiercely Defends His Mama During Vet Visit . If there’s one law of the wild, it’s that you should never get between a mom and her baby. Normally, it’s the mother animal who is the force to be reckoned with in this scenario, but in one video that’s going viral on the web, it’s the baby who’s bravely stepping in to defend his mother from harm. This pair of rhinos are inseparable, and when mama injures her toe, baby is not about to let any human come touch her without his blessing. The video was shot in KwaZulu-Natal, a coastal province in South Africa that’s known for its incredible diversity of wildlife and its many game reserves. 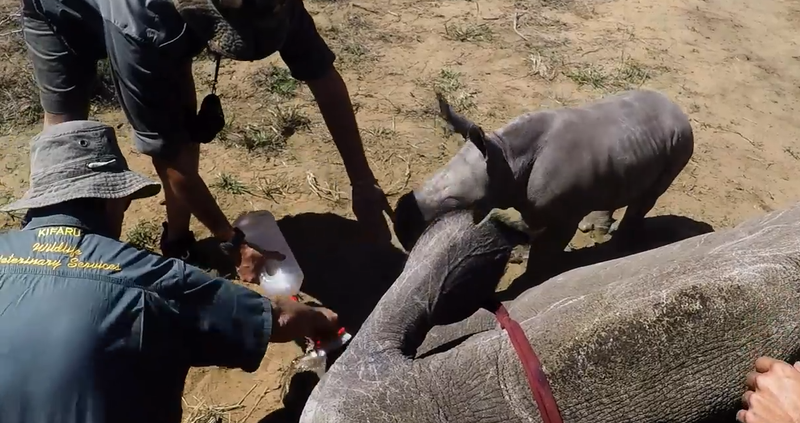 Veterinarians from Kifaru Wildlife Veterinary Services were tending to the mother rhino, who had an infected toe, when her calf boldly tried to push them away. 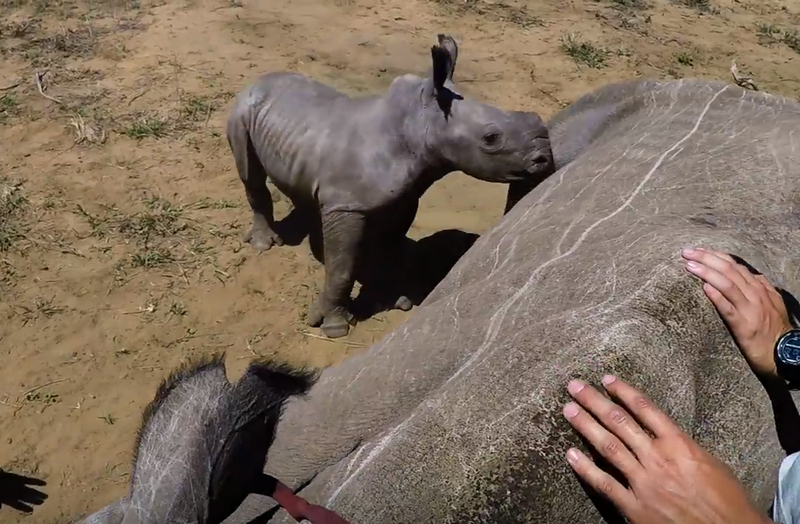 Rhinos are a critically endangered species worldwide, so the wildlife reserve is careful to treat any injury, however minor. Their goal is to preserve the species while keeping their animals safe from poachers and other dangers. But nobody seems to have told Junior, here, that these men are trying to help. 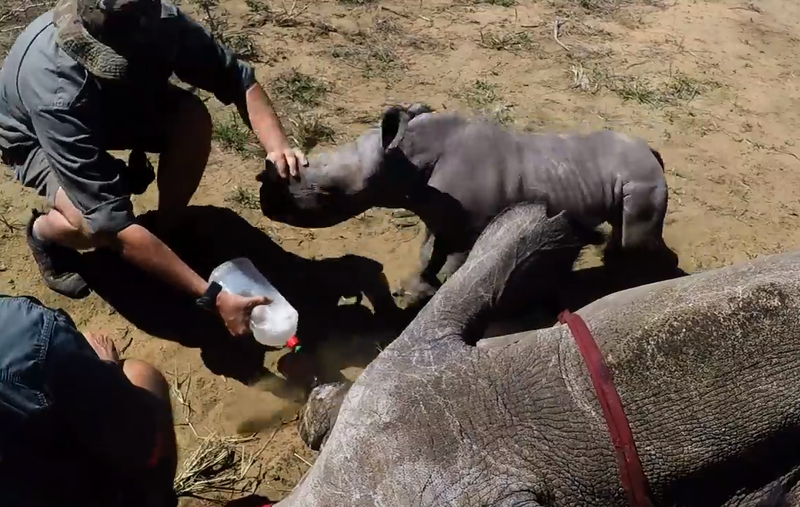 Rhino calves are born without a horn, rendering them defenseless against attack from other animals or humans. 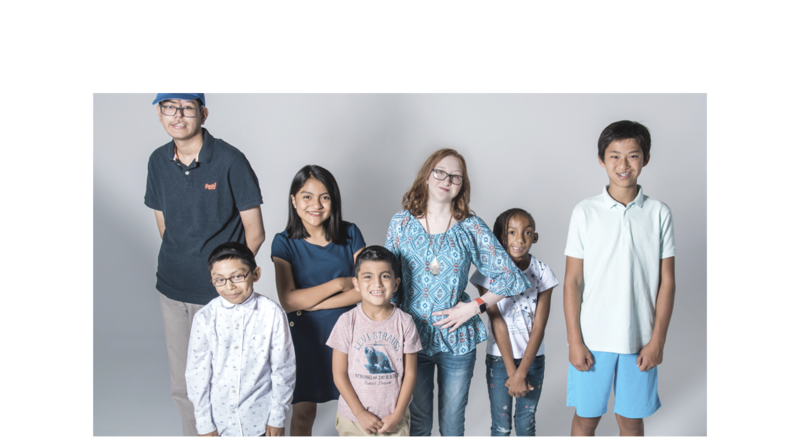 They stay close to their mothers for the first few years of their lives, and she protects them from harm until they’re fully grown… and fully intimidating to predators. Yet apparently, this protection goes both ways. When his mother is incapacitated, the little guy uses his entire 80 pound body to repeatedly crash into the vets! But as the men start washing out her infection, the calf seems to hesitate as if he knows they’re helping her. This moment is so sweet. 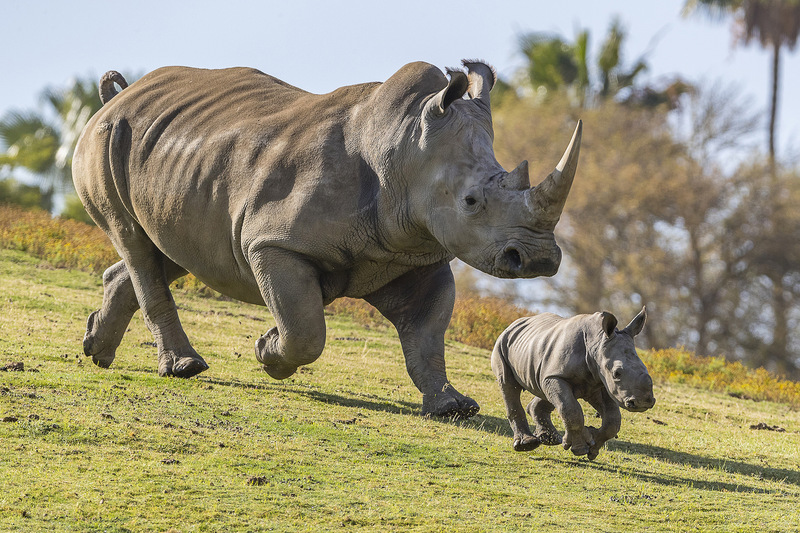 Even big, tough animals like rhinos experience strong mother and baby bonds! He would risk anything to make sure his mommy is okay. 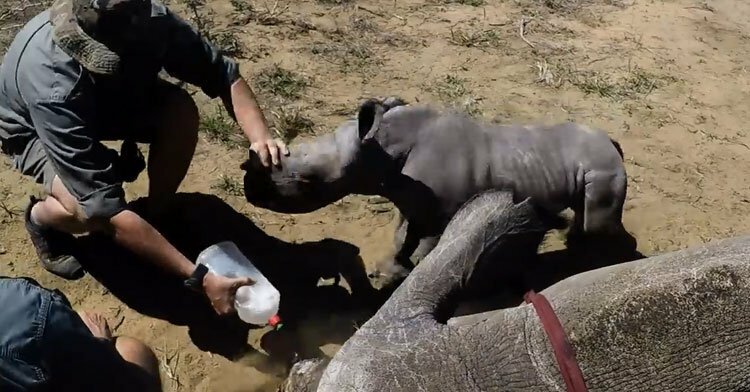 Watch this brave little rhino take on the vets in the video below, and don’t forget to share his heroic efforts today!